• Controller designed to be used with autonomous aircraft, car or boat. Infrared sensor required only for aircraft. 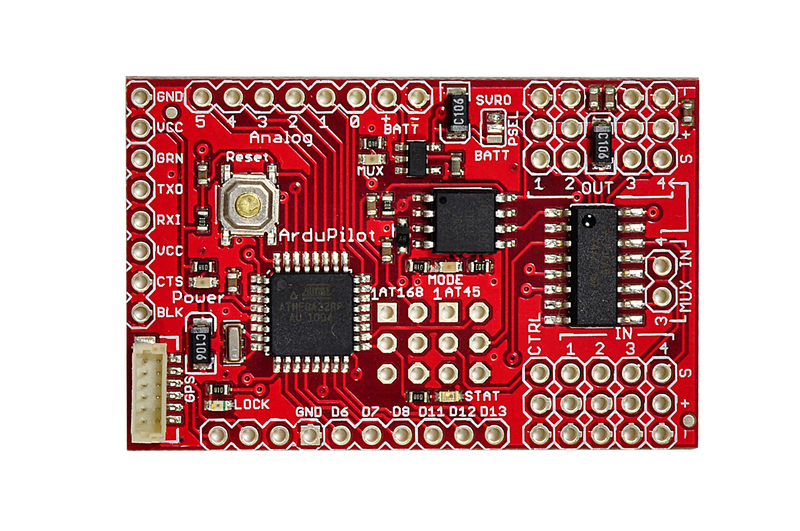 • Based on a 16MHz Atmega328 processor. Total onboard processing power aprox 24 MIPS. 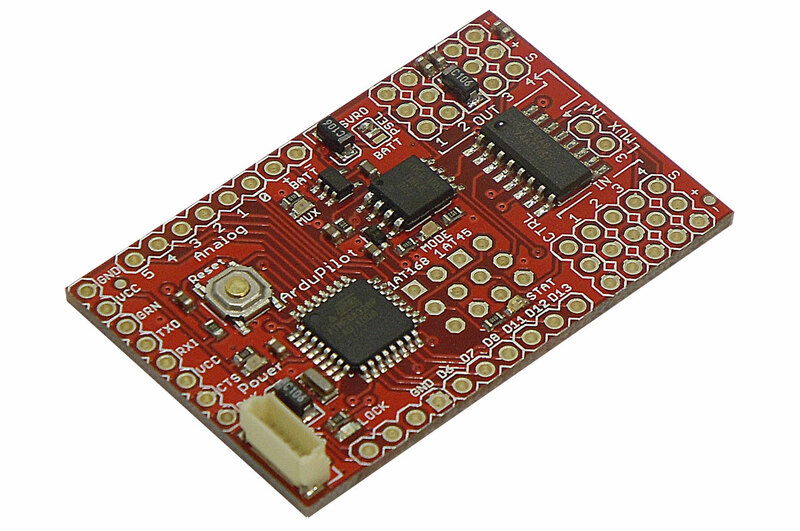 • Built-in hardware failsafe that uses a separate circuit (multiplexer chip and ATTiny processor) to transfer control from the RC system to the autopilot and back again. Includes ability to reboot the main processor in mid-flight. 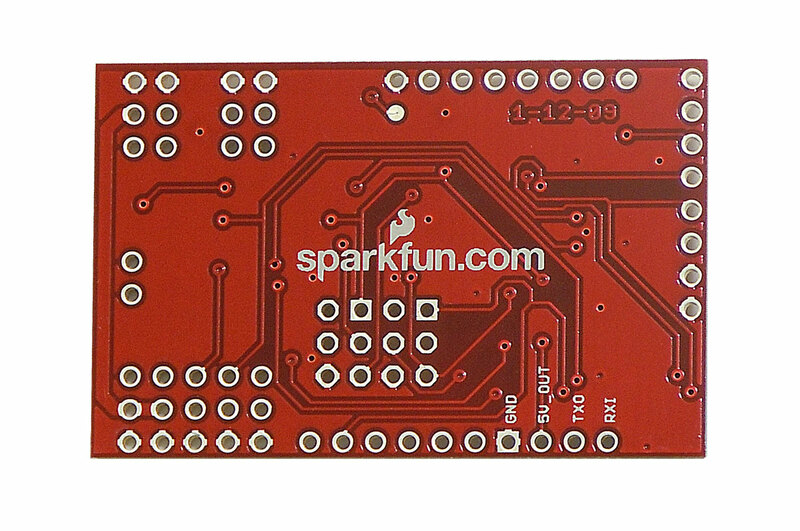 • Comes with a 6-pin GPS connector for the 1Hz EM406 GPS module. • Hardware-driven servo control, which means less processor overhead, tighter response and no jitters. 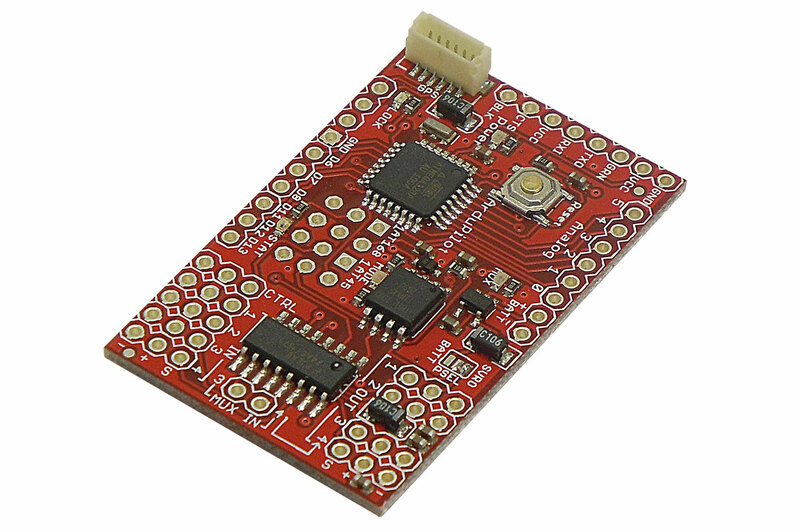 • Four RC-in channels (plus the autopilot on/off channel) can be processed by the autopilot.